As you have learned, manipulating raw data for analysis can be done in many ways, and each method has its merits. 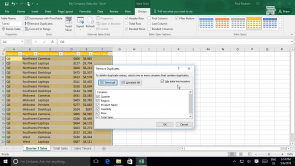 In this lesson, you will learn how to create tables to make reviewing data easier. In addition, you will learn how to format data in order to show highs, lows, or trends.